The Gemalai Village is a new established hotel located at Muzium Laman Padi, Langkawi which take less than 5 minute walk from Pantai Cenang, Langkawi. 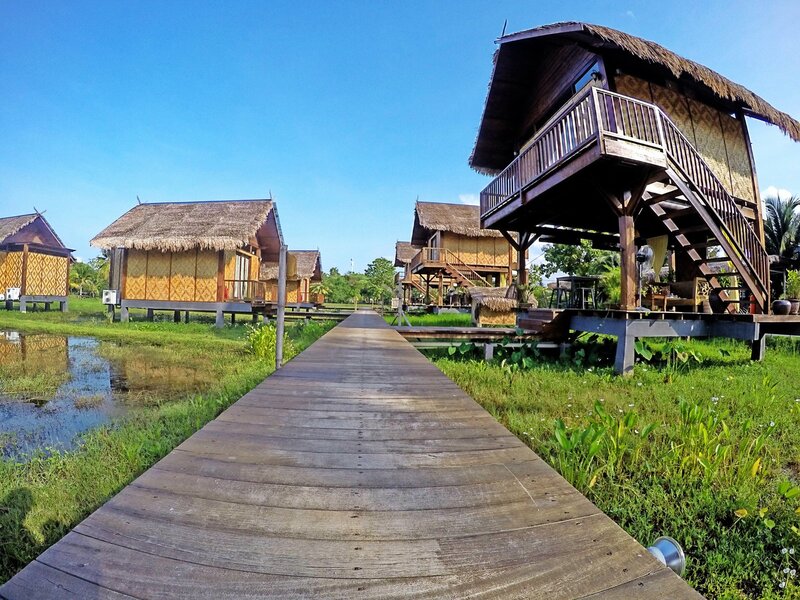 The hotel have six “Padi Chalet”, that is build on a padi (rice) field which three of it is a double storey chalet and another three is a single storey chalet. To reach this place you can take a taxi that will cost RM15 from Langkawi Airport and RM25 from Kuah Jetty. Taxi in Langkawi have fix rate from one place to another so you don’t have to worry about extra charges. If you rent a car, just drive to Pantai Cenang and look for Muzium Laman Padi. The reception counter is located near the Muzium Laman Padi entrance and once you reach there, you will be serve with Air Serai Soda (Lemongrass Soda). Superbly delicious! Once you check-in the staff will bring you to the chalet with a buggy. The set up of the hotel gave the unique experience for anyone who visited Langkawi. 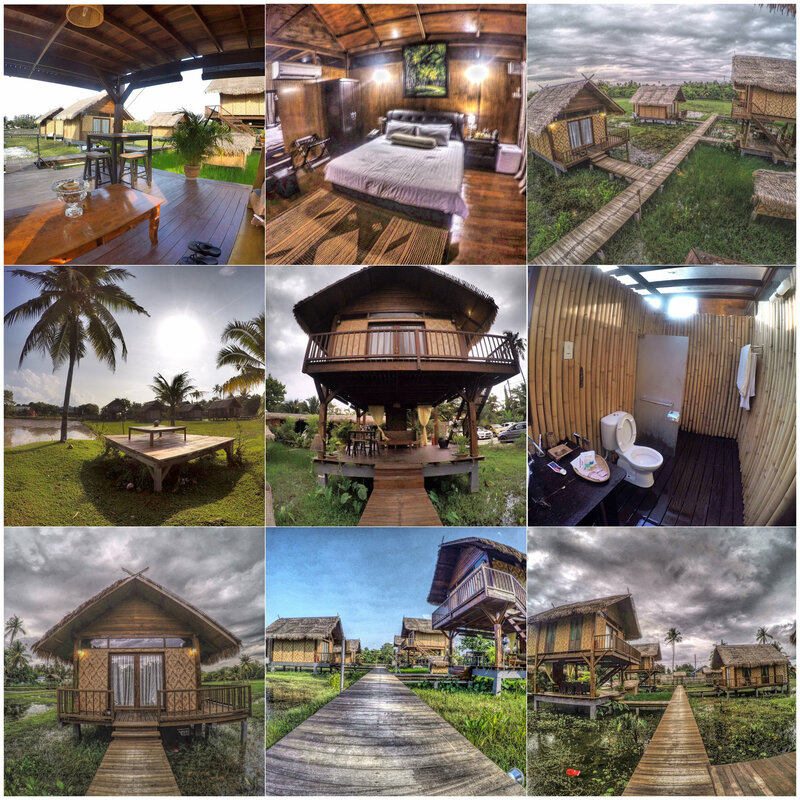 The room is well decorated and the detailed gave the feel of staying in a Kampung house (traditional Malay wooden house). The squeaking sound made by the wooden house when you walk in it really made it nostalgic. Another unique thing about the chalet is the bathroom is an open air bathroom (picture attached below) create a different experience when you used it. The breakfast is served under the room or in front of the villas at the time you required which gives the perfect atmosphere for a nice and calm breakfast. Waaaaay more convenient than any other hotel with a typical restaurant! You can choose from 3 sets: 1 western (with toast, scramble eggs and cereal) and 2 local food. 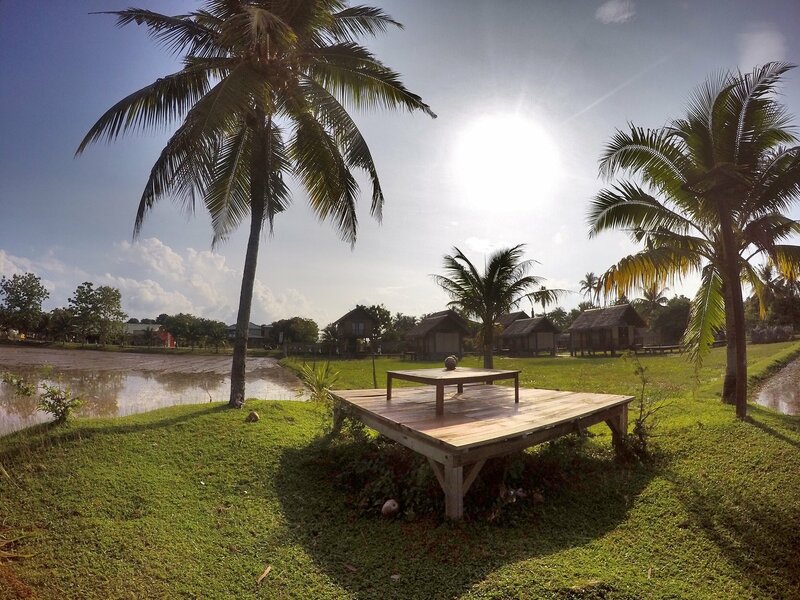 The atmosphere is just priceless, waking up to the green paddy field and animal roaming around the hotel area such as roaster, ducks, buffaloes and birds almost all day long. Rent a bicycle to enjoy the scenery or cycle your way to Pantai Cenang and enjoy the activities there. 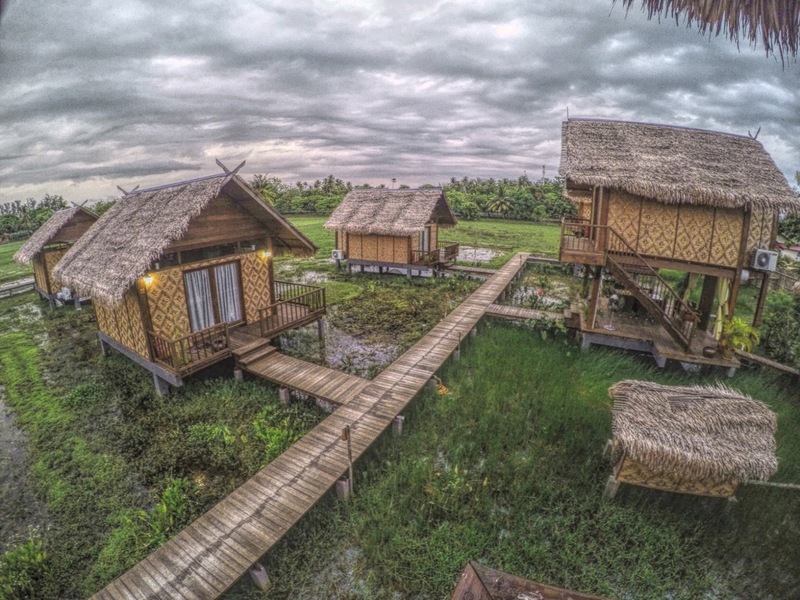 The hotel also have a Padi Museum (free entry), a Laman Padi, where you can experience how they plant and plow rice (booking require, currently charge RM5 for walk-in and free for hotel guest), and a restaurant. Also the staff are very friendly and helpful in providing tourism information to the tourist. 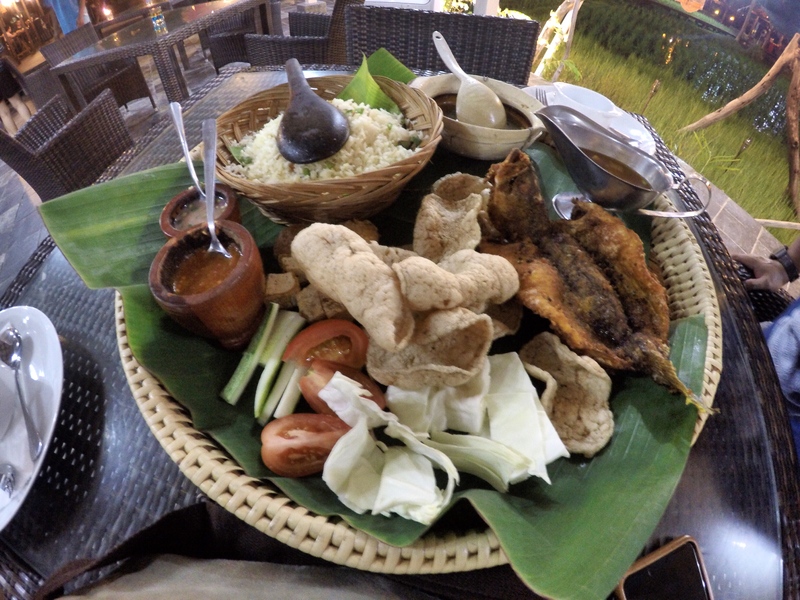 If you are craving for local cuisine, than head to the Muzium Laman Padi Restaurant located nearby the hotel. Variety of local cuisine to choose from and I would recommend you to order their set dishes that include fried rice, chicken/fish/beef, soup, keropok and ulam (vegetable). The food are delicious and in a big portion with reasonable price. Whole course as per picture cost me less than RM30 for 2-3 pax portion. Overall, this is a must try Hotel when you visit Langkawi next time. Great location which is near to Pantai Cenang, Langkawi Underwater World, Duty Free Shop and Langkawi Airport which is easily accessible. Suitable for all type of vacation; honeymoon, family trip, shopping, relaxing etc. Great food & service by the hotel. The hotel price range from RM300 – RM420 per night depends on the season you visit, and contact them directly for booking to get special offers. Kindly visit their Facebook page for more details.